Luxury Rental 1/4 mile from Mt. Snow. 2018/19 Full season rental now available! 5 Bedrooms + Office/den, 5 1/2 baths, sleeps 14, 4300 SF, fully loaded. Additional Information and Attractions: House is located within 1/4 mile from the mountain. The drive takes less than 2 minutes from door to the main lodge. House is within a very short driving distance from all restaurants and attractions within West Dover and is approximately 10 miles from the town of Wilmington where there are additional restaurants and shopping. Radiant heating throughout the house including the two car finished garage. Kitchen includes all stainless steel high-end Kitchen-Aid appliances inclusive of double drawer dishwashers, 6 burner gas counter top stove with oversize oven and oversize refrigerator. The granite counter tops throughout complement the country cabinets and wood floor. The great room includes a 42' plasma screen TV with DVD and Nintendo Wii. Wi-Fi Internet access throughout the house. Two of the master suites include jacuzzi tubs for massage and soaking. Washer and dryer located on the main floor. Full (wet) bar located on the lower level with stone fireplace and access to hot tub and sauna. Bar includes wine and regular refrigerators, TV and sound system. I-pod docking station located in the great room as well as the bar area. Main master suite includes walk-in closet, bathroom with double vanity, oversized jacuzzi tub, gas fireplace with remote control, TV and DVD player. House was very clean and kitchen was well stocked. Great place with lots of beds and comfortable space to sleep two families. Very close to the mountain, which was awesome! Great room with large TV and sectional to kick back after a day of skiing. House is stocked with games and an awesome collection of DVDs. While there, we encountered two problems - a broken hot tub and a water leak, but the owner was very responsive and took repair actions ASAP. I would highly recommend this house and hope to stay there again!!! My family and I enjoyed a wonderful stay in this property. The photos almost don't do it justice - it is spacious, immaculately clean, fully furnished with a fully equipped kitchen (we easily managed a big Canadian Thanksgiving!). The interiors are tasteful and the wooden beams make it feel very cosy and rustic. The beds are very comfortable and the house is well suited to bringing the family together with the spacious open-plan kitchen/living room area. David was responsive and friendly, although we did not meet in person. I recommend this property highly! What a beautiful home! If you are looking for a house for a large group of people - this is definitely a perfect place! With many (very comfortable) beds around the house and a perfect sized kitchen, this is an amazing place to have a weekend with a big group. I would definitely rent this house again! Also, the owner is extremely responsive and accommodating. We rented this house for the wkend of Oktoberfest at Mount Snow. We had 5 families total staying in the house and there was PLENTY of room. Everything updated, clean and felt just like home. The views were stunning and amenities made it feel like a true vacation. The owner was very kind and easy to work with. I would highly recommend staying here. We will definitely be back! This home is simply FFABULOUS! From the well thought out layout to the quality furnishings to the many amenities to the amazing views and proximity to the mountain. We were a group up from RI to participate in Tough Mudder and were able to relax before and after the event in this amazing home, there are so many options for privacy or group gathering!. David was so easy to work with from his quick responses to answering all my questions. 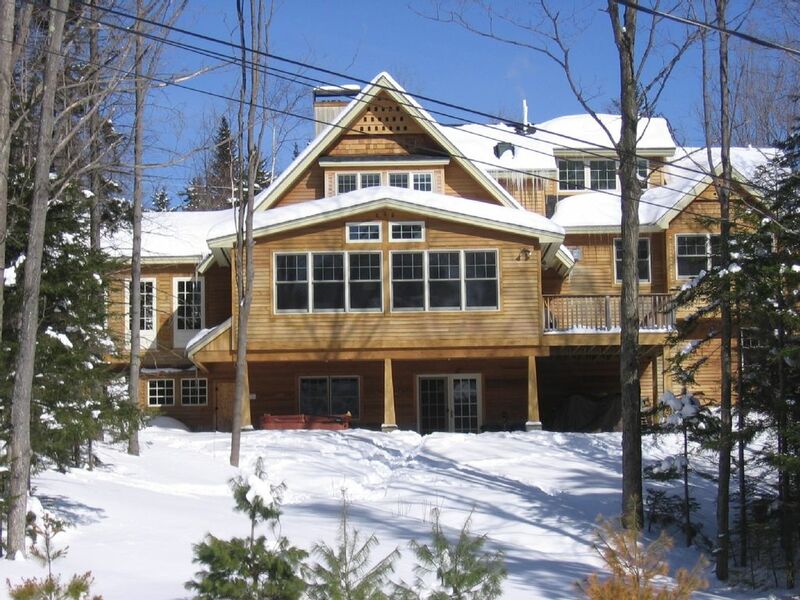 Not only will we be back for TM in 2015, we hope to rent this home for a few ski weekends.